Behind the friendly smiles of our team is a group of highly-trained, experienced, and determined dental professionals. Whether you’re scheduling a visit, settling into the treatment chair, or have questions about your financial options, they’ll make sure you have everything you need to glide through your appointments with ease. You’ll learn to love them starting at your very first visit, but first, you can start getting to know them by reading on below! 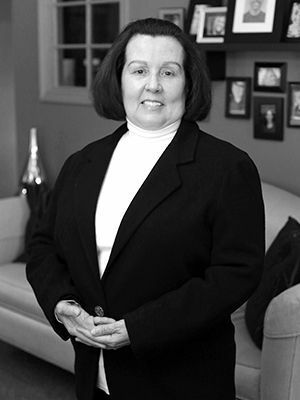 Betsy has been with our practice since 1994, always offering kind smiles to both new and long-term patients and doing her best to help everyone feel like a part of the family. She loves her job and it definitely shows – in fact, her mom also worked as an office manager in a dental practice and was the one who first introduced her to this industry! She earned her education from the University of Southern Maine. Betsy currently lives in Standish. When she isn’t busy at work, she spends quality time with family, goes camping, and entertains. 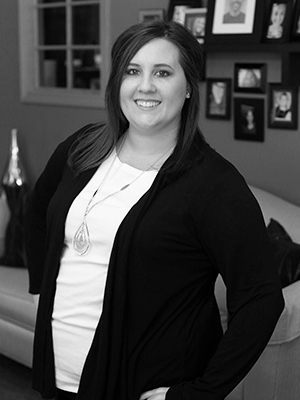 Kate first came to Morgan-Hill Dental Care in March of 2015, and she proudly heads up our marketing efforts while also helping out at the front desk. She earned her education from St. Joseph’s College. Being able to meet incredible people every day and do so much good work for the Gorham community are her favorite parts of this job by far. When she isn’t busy at work, you can find Kate spending quality time with her two daughters Soleil and Everleigh, her two cats, and her cute pet rabbit. 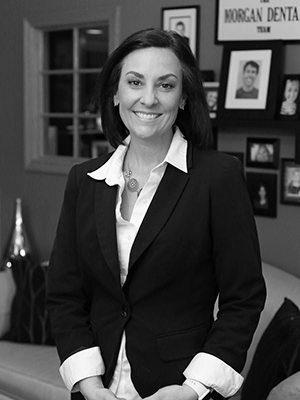 Cindy first joined our practice in 1998 and shows no signs of slowing down anytime soon. She studied medical science at Andover College and has also taken dental radiography courses at the University of New England. She has several certifications of achievement in helping patients receive superior healthcare too! Her positive spirit is definitely infectious, and she helps keep all of the patients on a timely schedule to make sure everyone stays happy and healthy. Cindy resides in Buxton with her husband Phil and their small, sweet dog named Mollie. When she isn’t busy at work, she enjoys designing homes for herself and doing plenty of decorating projects. She’s also a HUGE Betty Boop fan and even has the character tattooed on her leg – that’s dedication. Debbie’s career in the dental field impressively spans almost 40 years now, most of which were spent right here at our office! She loves spending time with such a great team and patients who feel just like family. In fact, she’s still seeing many of the very first patients she cared for after graduating from dental hygiene school at Westbrook College. She is certified in local anesthesia and dental lasers, has attended training courses with Advanced Hygiene Concepts for gum disease treatment, and achieved Master Level status at Dental Boot Kamp regarding communication and patient care. Deborah grew up on Sebago Lake, and her family owned Simpson’s Hamburgers – famous for their fried onions long before McDonalds was around! Her hobbies outside of work include gardening, boating, cooking, and exploring the North Maine woods. Kathy’s career in the dental field covers nearly 35 years now, with many of them spent right here at Morgan-Hill Dental Care! 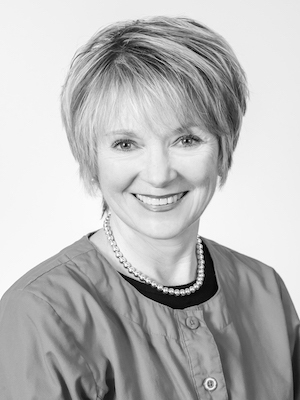 She studied dentistry at Bangor Community College and has also undergone several advanced training courses in periodontal health and communication. She is known to be extremely thorough and gentle to patients in the treatment chair and also has a very soft tone to her voice that helps calm even the most anxious people! Her favorite part of this job is being able to help everyone bring their confidence back with a healthier, happier smile. Kathy lives in Casco with her husband Dale of well over 30 years and several beloved cats. She also has an adult daughter named Michelle who lives in Florida. When she isn’t busy at work, she enjoys spending quality time with her family and gardening. 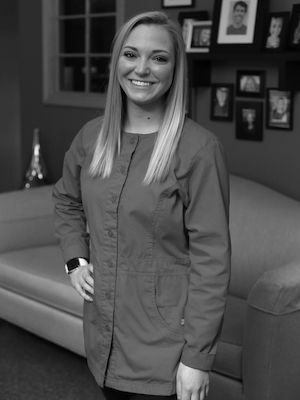 Sarah became a member of the Morgan-Hill team in June of 2017 after graduating from the University of New England, and she loves being able to calm the nerves of patients with dental fear and hear them say “that wasn’t bad at all!” after their sessions with her! She is certified in local anesthesia. Sarah was born and raised right here in Gorham, and she currently lives on the lake with her boyfriend. Her hobbies outside of work include soccer, being a big foodie, spending time outdoors, traveling, and playing with her adorable puppy named Remi. 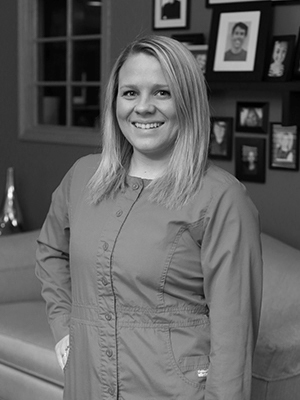 Chelsea graduated from the University of New England as a Registered Dental Hygienist in 2017 and joined our dental family in December of that year. She is certified in local anesthesia and nitrous oxide. Helping people find new confidence in their smiles is her favorite part of this job! Originally from Massachusetts, Chelsea came to Maine in 2013 and now lives in Westbrook wit her husband Nick and their two cats Sadie and Miss Puss – she wishes she was allowed to have 11 cats, though. Her hobbies outside of the office include knitting (be sure to let her know if you really need a new hat or mittens), reading, and gardening. Darlene has actually been assisting Dr. Ted since he first opened the doors of Morgan-Hill Dental Care – well over 40 years ago! You’d have a hard time finding someone outside of his family who knows him better than she does. She loves the people she works with, including both the staff members and the patients. Darlene currently lives in Limington with her husband Tony. They have two grown sons and eight (going on nine!) grandchildren. When she isn’t busy at work, she spends her time kayaking, hiking, biking (both pedal and motor), doing karaoke, sewing, knitting, and tinkering with all sorts of other crafts. Got a TV that doesn’t work? Bring it to her, and she can fix it in 10 minutes! 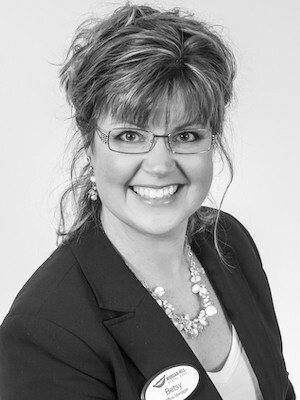 Mandi’s career in the dental field covers almost two decades so far, with half of them spent right here at our practice. 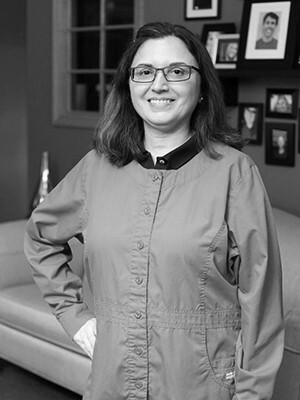 She studied at the University of New England and has also attended Dental Boot Kamp in addition to earning her sedation and radiology certifications. She loves being able to help people feel confident about their smiles and is always ready to crack a joke or play a prank when needed. Mandi is from the Gorham area and is married with two children named Mya and Gavin. Her hobbies outside of the office include camping, snowmobiling, trying new restaurants, and hanging out with her loved ones. For her first job, she actually worked as a turkey who waved to passersby outside of a local restaurant – feel free to talk turkey to her next time you come in! Jessica has studied at several colleges, including University of Southern Maine, SMCC, and Plymouth State. 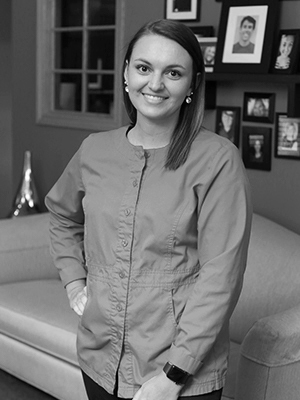 Today, her career at Morgan-Hill Dental Care covers three years and counting. She is certified in radiology and phlebotomy and has a very determined love of learning. Her sweet personality will make it seem like you’ve known her for ages! She also genuinely enjoys helping people smile again through her efforts. Jessica grew up in Windham and now lives in Raymond with her boyfriend Brandon and their dog Chipper. In her spare time, she enjoys working out and going snowmobiling and skiing in the winter months. She’s also a very big fan of eating spicy foods. 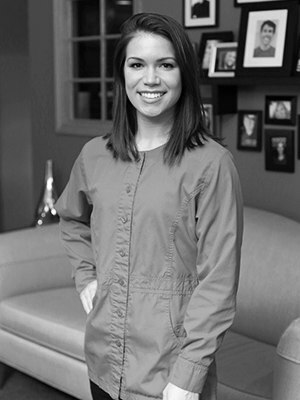 Shelby is one of our newest team members, but she already has over five years of experience in the dental world overall. She is currently attending the University of Southern Maine and has her license in dental radiography. When asked what her favorite part of the job is, her answer’s an easy one – the wonderful coworkers! Shelby is from Buxton and has an amazing daughter named Hailey. She spends her free time running, hiking, going to the gym, and doing arts and crafts. Her favorite sea creature is the cuttlefish – look it up! 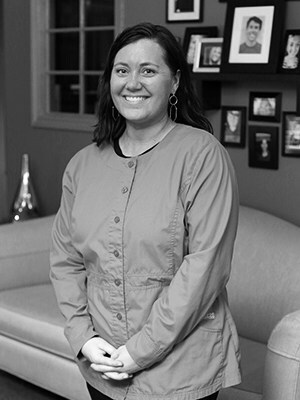 Heather first came to Morgan-Hill Dental Care in June of 2018, and she already loves getting to work alongside such an amazing team every day. 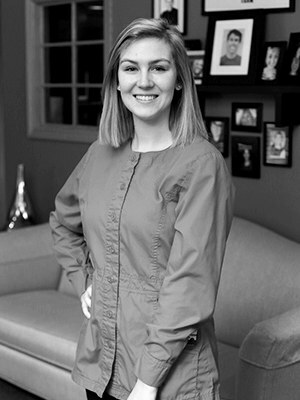 She studied Health and Wellness Promotion at Saint Joseph’s College of Maine and is currently earning her dental education at VIP Dental Assistant Training of Maine. Heather is from right here in Gorham, and she has a wonderful mom, dad, brother, and dog named Sebago. Her hobbies outside of work include going to the beach, shopping, and hanging out with friends and family. She can also do the impossible – lick her own elbow! 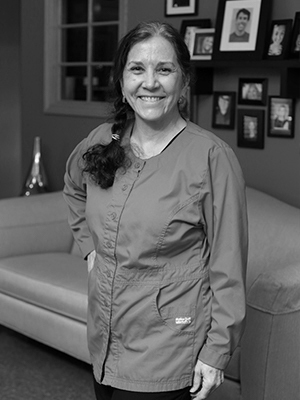 Natasha is from Limington, and she’s one of the newest members of the Morgan-Hill Dental Care team. She loves coming in to a workplace every day that’s filled with fun and laughter! Meeting all of the patients is always a highlight for her. At home, Natasha has two children named Kyra and Zach and a boyfriend named Nick. She is a very spontaneous person and is always up for an adventure when she isn’t busy at the practice. Most of all, she loves spending quality time with her family and friends.